Time For Poodles And Friends: Wordless Wdnesday-There's A Squirrel Up This Tree! 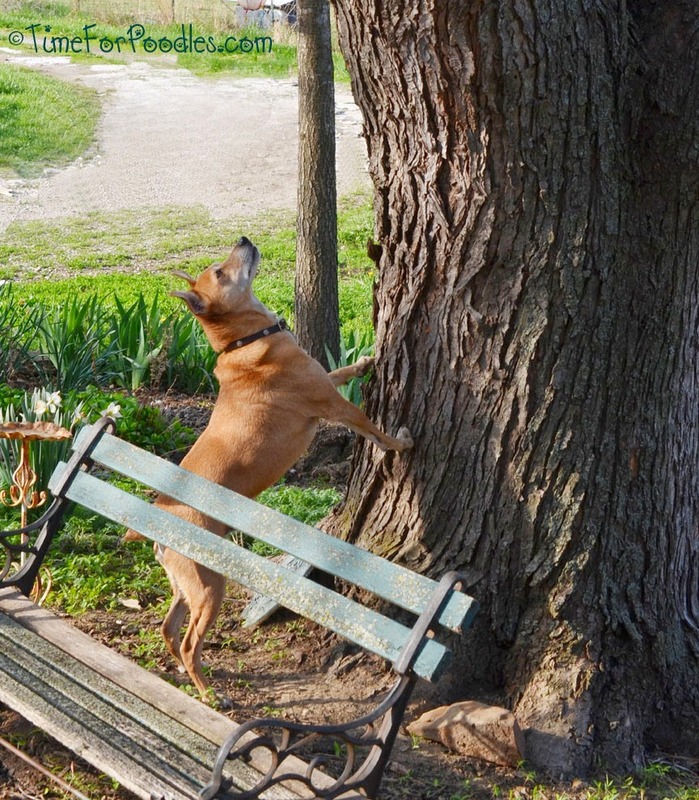 Wordless Wdnesday-There's A Squirrel Up This Tree! Dylan=Mountain Feist=Mainly used as a squirrel dog, the Mountain Feist is also good at hunting raccoons and tracking larger game.